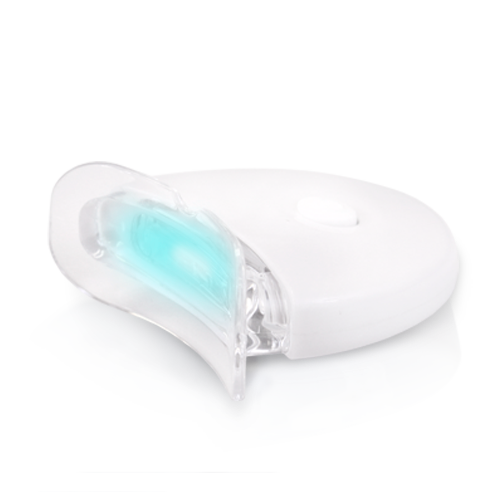 This mini blue LED light is designed for use with home teeth whitening kits. 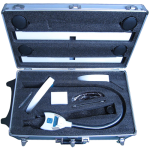 Just to clarify, the light emitted is blue light. The casing is white. 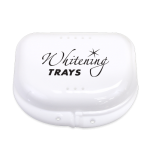 This convenient light stays in place, hands-free, when used with our Thermoforming Whitening Trays and/or our PerfecTray. 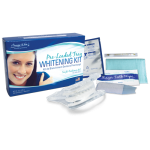 It helps accelerate the whitening action of the gel and adds perceived value to home whitening kits. 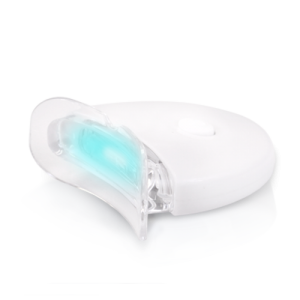 It is battery-operated, comes with the battery, and replacement batteries are easy to find wherever watch batteries are sold.